Black isn't ugly after all! You will love it after seeing these lovely black homes. If you look around, you can see that many homes use white or neutral colors for the exteriors. Although there are also homes that use bright colors too but this is very rare. Most of the time, white is combined with wood or unfinished concrete to add some texture. But have you seen a black house? Well, not everyone is a fan of that color and for sure, only a few homeowners would be brave enough to use black for their home’s exterior. 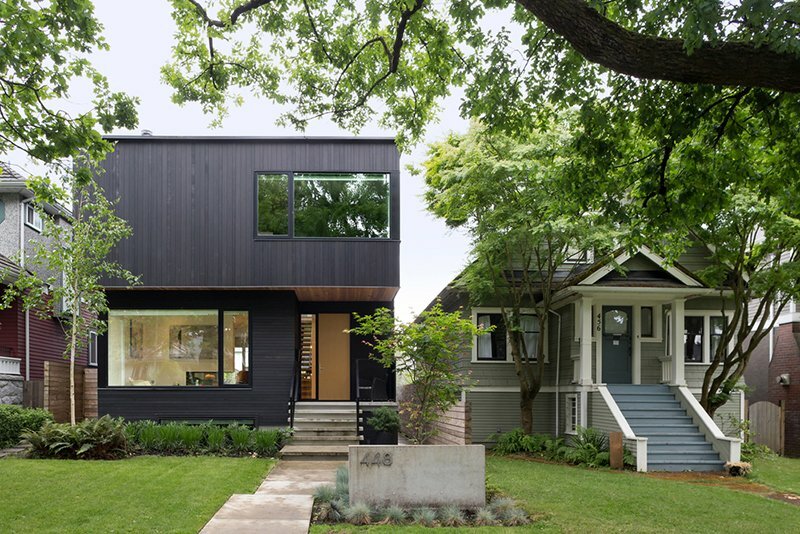 But did you know that using black for the home’s exterior actually looks amazing? Most people might think that a black house is a home for a witch or it is associated with black magic and anything creepy. But of course, this is apparently wrong. We cannot apply the things we see in movies in real life. Black homes aren’t creepy after all. As a matter of fact, these are totally stunning and beautiful. 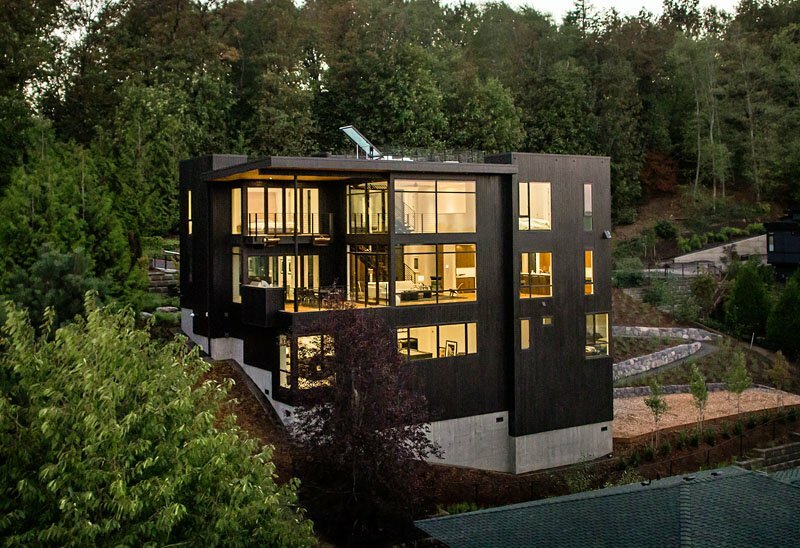 If you won’t believe me, then these 20 modern black homes that you will see in this list will surely convince you. 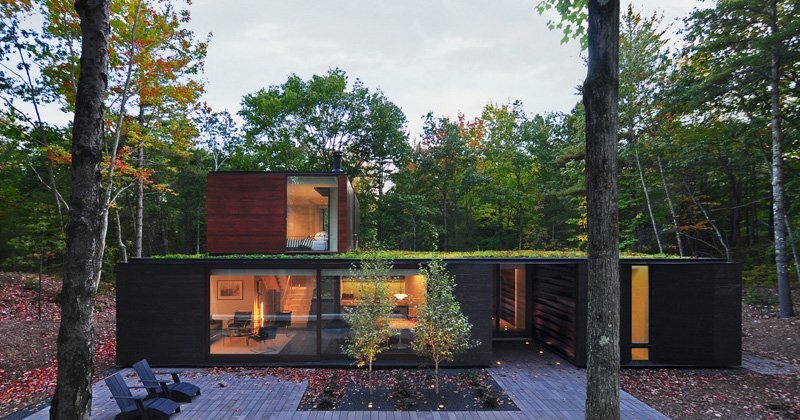 This modern home in Norway sits on grassland and features a stained, dark wood clad exterior. It is comprised of three stacking elements where one is vertical and the rest are horizontal. Villa DVT is a detached house on the outskirt of Arnhem in the suburb Schuytgraaf, The Netherlands. The client expressed a desire for a unique and modern home and an interior with a ‘loft-quality’. This resulted in an explicit design with graphic lines and minimalistic details. A 3,000-square-foot house in Vancouver’s Mount Pleasant neighborhood is intended for a young family of four. 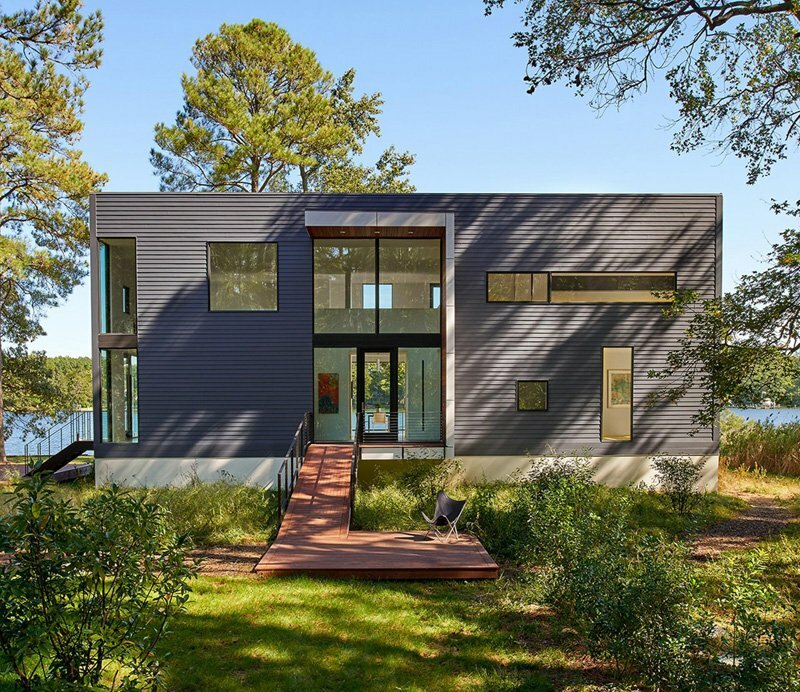 The house offers a contemporary take on single-family residential living. It is designed while considering the other homes in the area. This modern home is located in Yucca Valley, California which is away from the busy urban life. 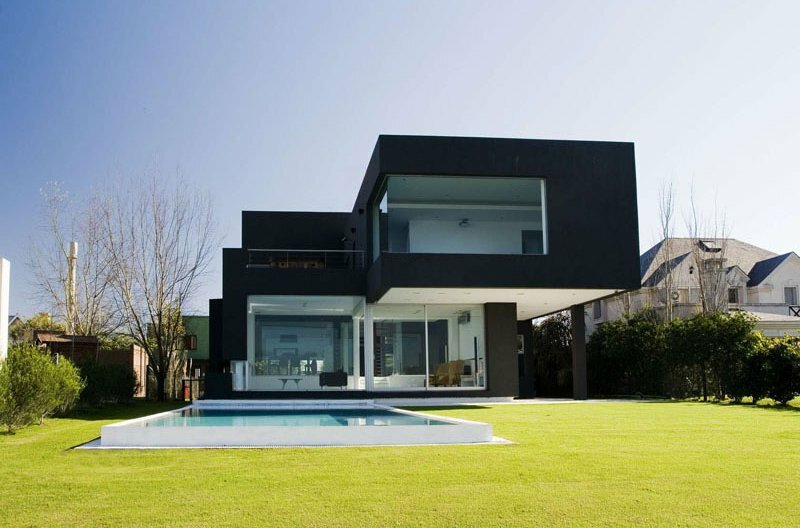 The black exterior of the home and its geometric design combined together creates a unique home. A home designed for a family of music lovers which has intimate spaces and communal areas for the family. As the family loves music, there’s a piano studio where the wife’s students come for lessons. The studio also opens onto the main living room and covered outdoor living area, perfect for hosting recitals and parties. On the lowest level of the home and surrounded by concrete walls, is the timpani rehearsal room. The husband, a member of the Oregon Symphony, uses the space for practicing his instruments. 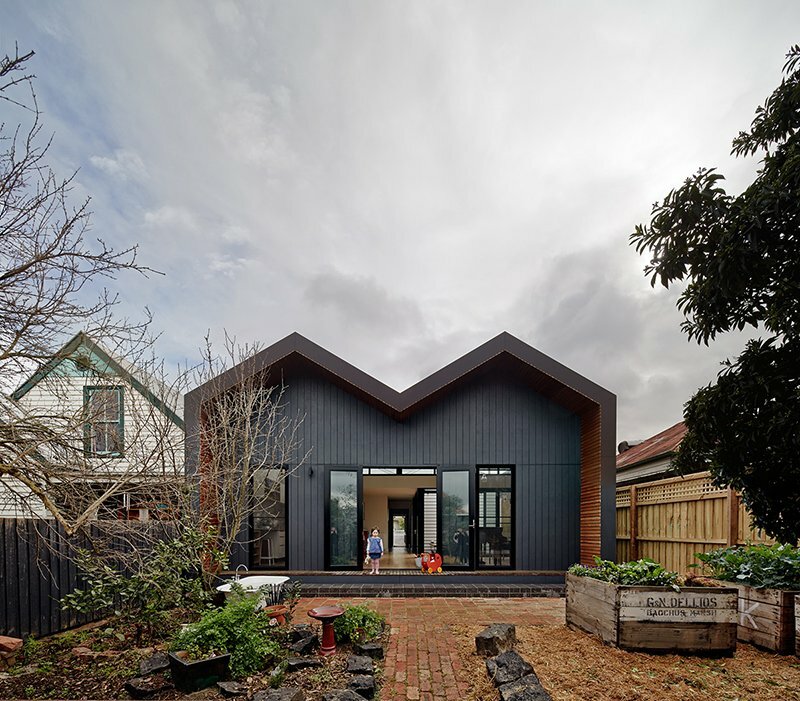 The house is designed for a family with three young boys. Located near Scottsville in Virginia, USA, it sits on a 40-acre plot with good views of the nearby river and plenty of space for the boys to play. 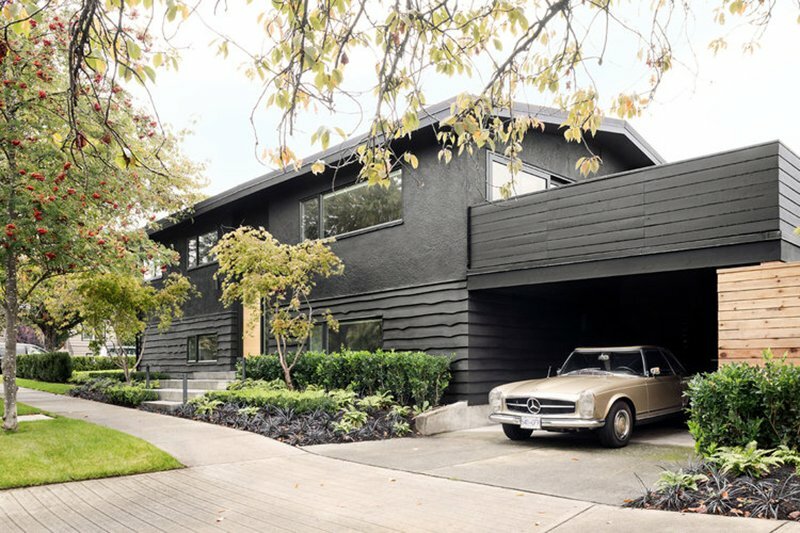 Extensive renovations were done to existing 1960’s Vancouver Special home. Its main floor interior walls were removed to create an open concept plan. New features of the house include a huge marble kitchen island and new hanging steel fireplace. Located in Hertfordshire, England, this modern contemporary home has many modern touches in the interior. 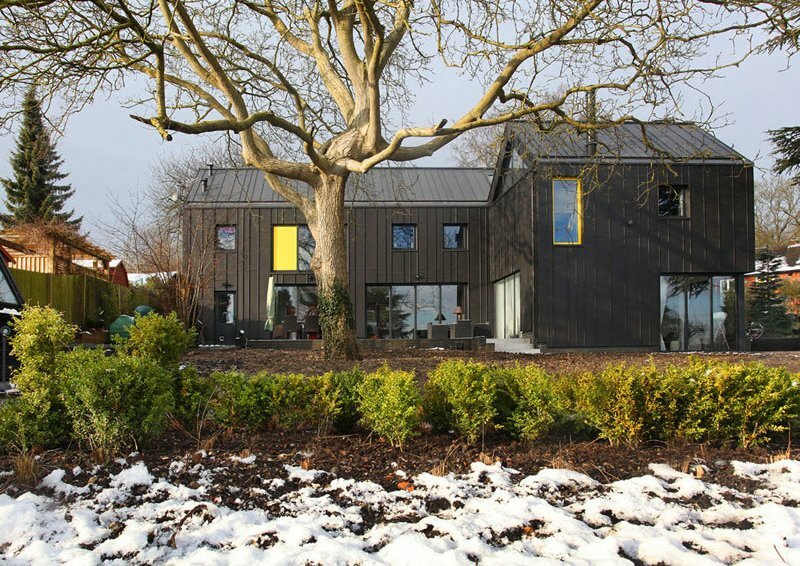 It features a pitched roof that has a traditional connotation while its black facade is reminiscent of local barns. 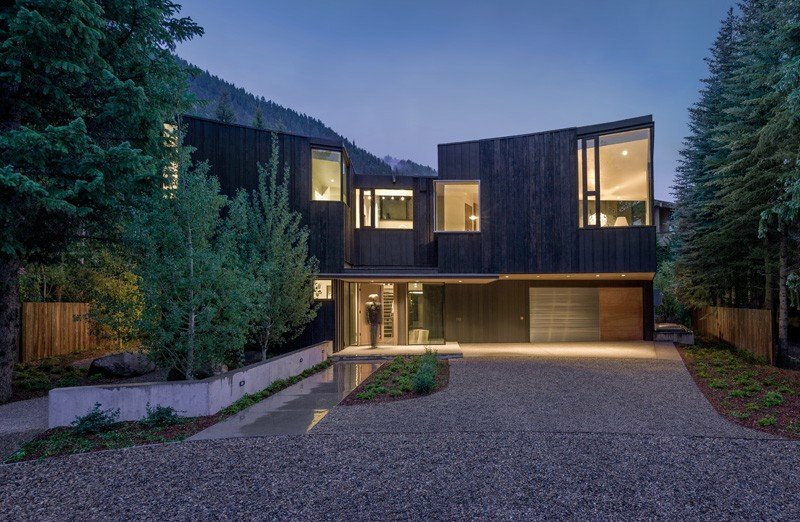 This zinc clad home is located in Aspen, Colorado. It has three first-level bedroom suites and a lower level fourth bedroom suite as well as a flex room intended for media and exercise. 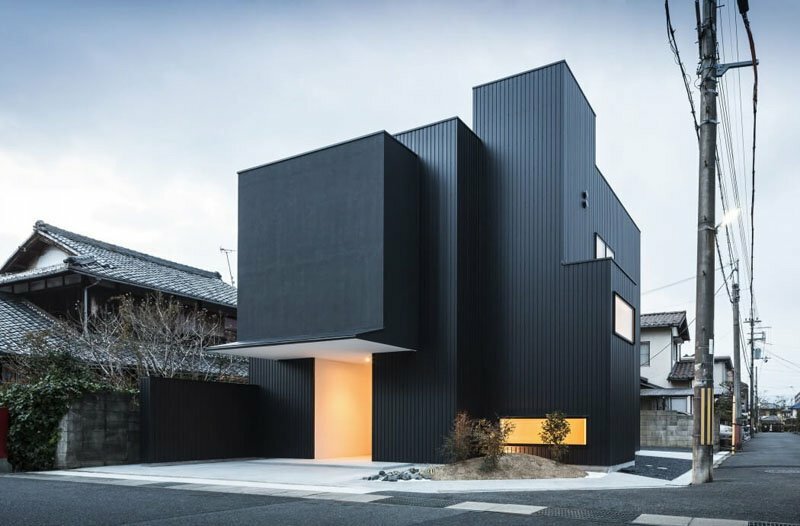 If you want something minimalist, this Japanese home would be perfect which make use of simple black boxes put together. This was achieved because of the client’s request to have a space that can be used as a gallery in the house in addition to the habitable space. This house in Buenos Aires, Argentina is owned by a couple who doesn’t have children. It has good views of the lake and has two areas where the couple’s friends and family could gather. 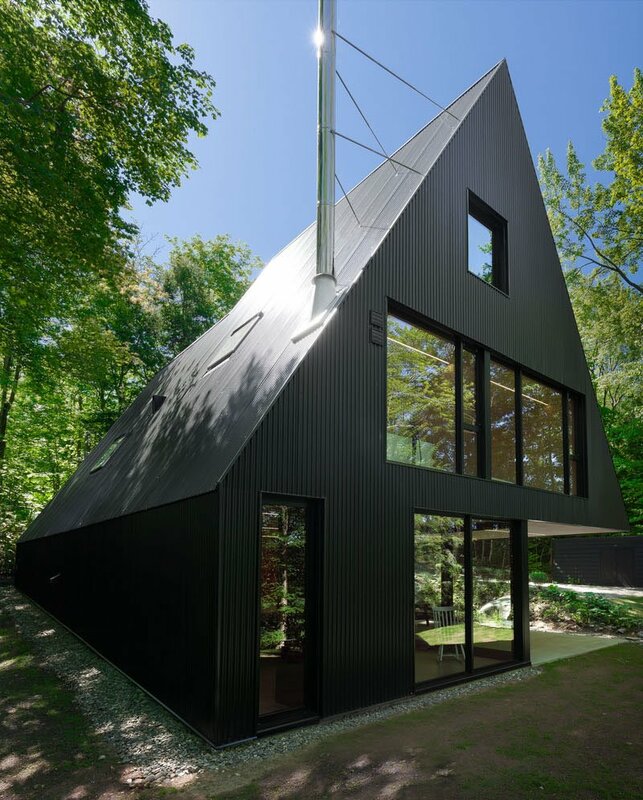 This triangular house designed by Jean Verville has a well-distributed space in the interior despite its challenging design. For sure you will not ask why the house is named this way because its facade shows the M-shape formed by the roof. The project is a home renovation wherein a modest alteration and addition were done to the house to improve the way the family lives. 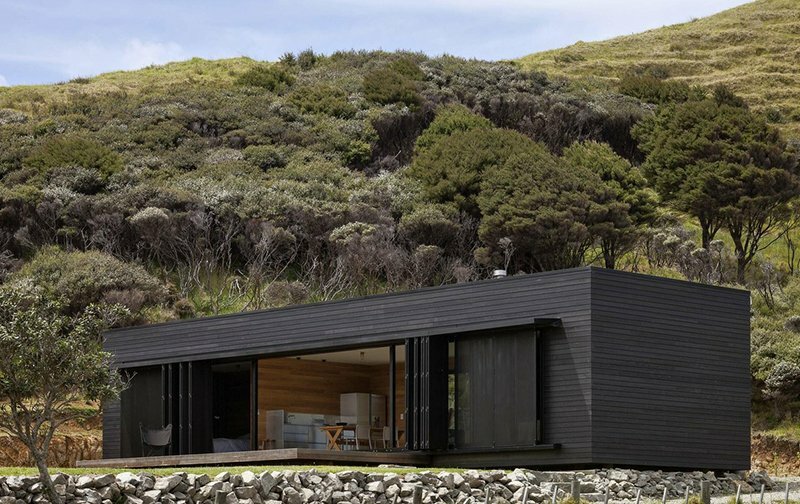 This house offers all of the stunning views of the coastline of Great Barrier Island in New Zealand. 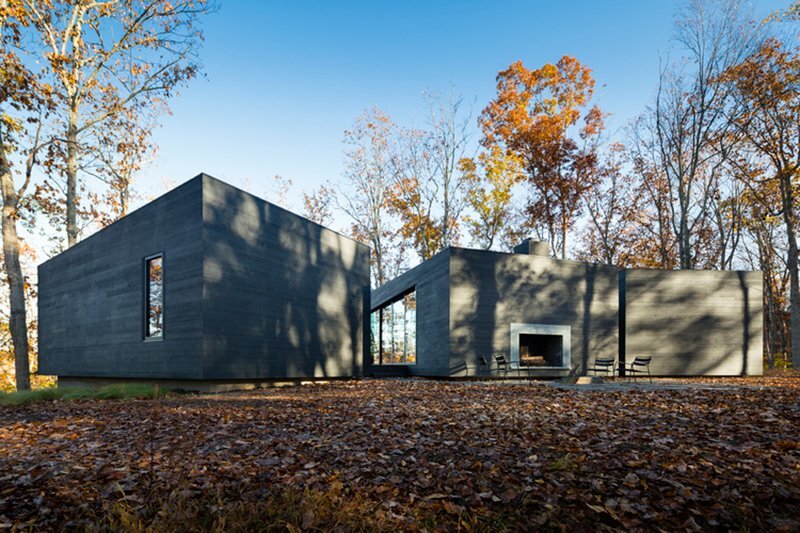 This black box is covered with freshly cut wooden logs and perforated sliding metallic screens. 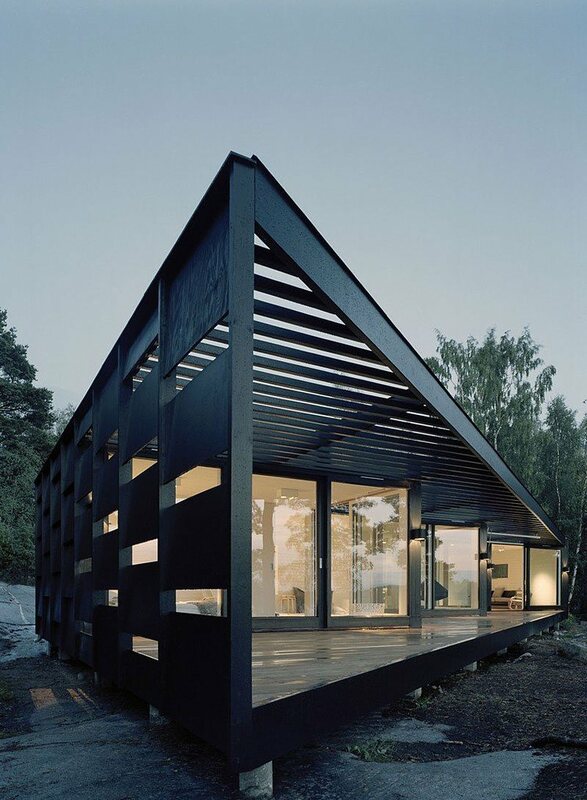 A light-weight building that is made with glass and wood located in the Stockholm archipelago. This summerhouse is indeed very much unique that will surely make the owners proud of it. 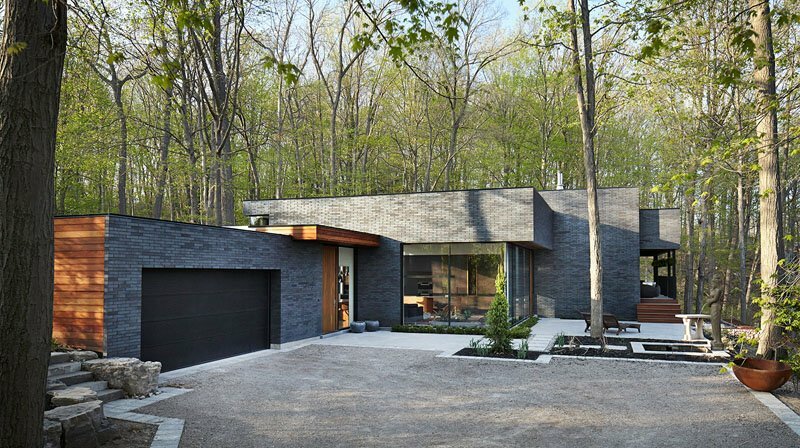 A combination of bricks and wood is used for the exterior of this house which is located in the middle of the woods of Ontario, Canada. Originally the foundation of the house was occupied by another home but when the creek flooded, the original house was damaged and it was then removed. Since the homeowners wanted to keep the same location as their home, the designers added 2 feet to the height of the foundation in order to get a permit and follow the new codes and regulations in home building. Enlarging an existing home that has an already strong and complete architectural character can be challenging. Here, we anchor the existing one-story home with a new two-story independent volume, using it both as a punctuation mark and counterpoint to the existing composition. 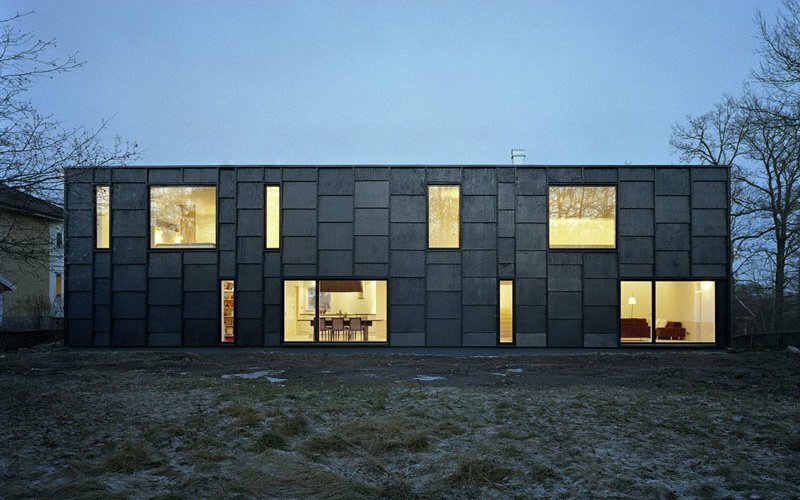 House K is a thin block with cut-outs for light, double-heights and a roof terrace. Using the full width of the property it separates the front yard facing East from the garden in the South-West. After seeing the above images, you will surely change your mind about hating this color for your home’s exterior. Yes, it might look weird for some but it really just depends on the design of the house as well. 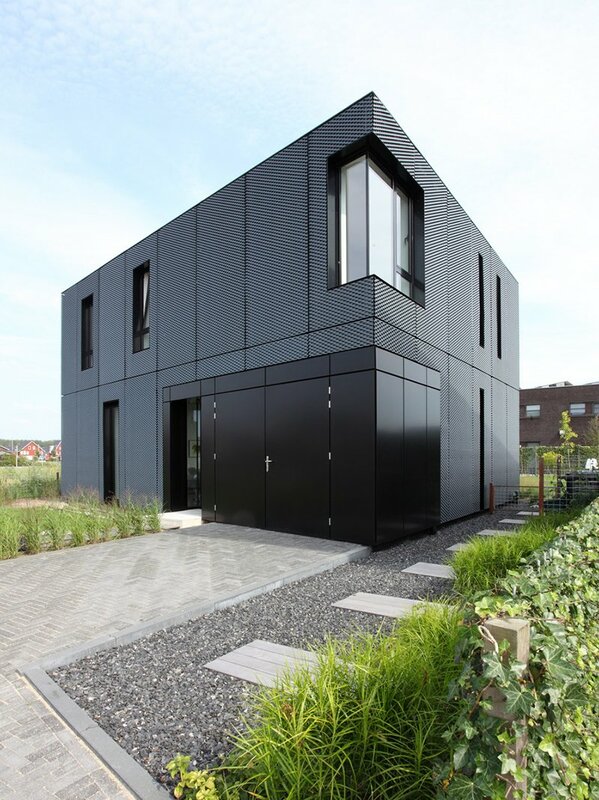 With the use of modern lines and geometric shapes, your black house will no doubt look really nice and unique! 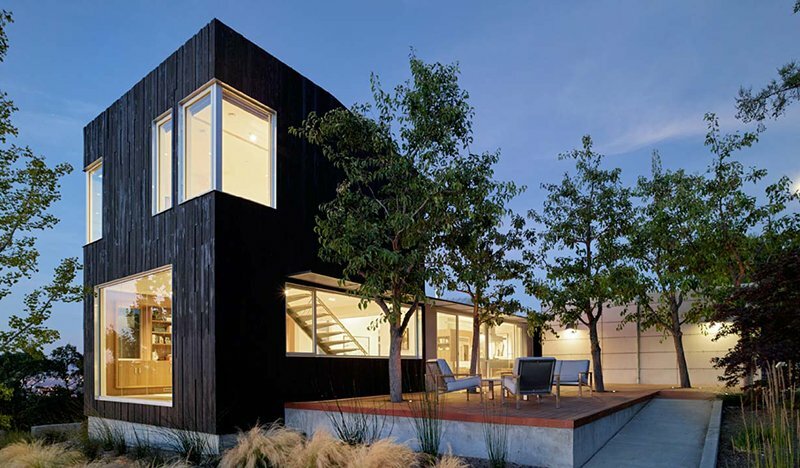 For sure, it will be a total head turner if you opt to use black for your home’s exterior. Do you think you would consider using this color for your home?